Guardamar Segura holidays transport you to a relaxed resort, south of Alicante, on Spain's Costa Blanca. Holidays to Guardamar Segura can be enjoyed at any time of year as the summers are long and hot and the winters mild. The busiest time is between April and October with temperatures rising from twenty five to low thirties at the season's height. Holidays in Guardamar Segura have wide appeal. The resort's main asset is its seven miles of thick sands, and towering dunes framed by pine forests. No matter how many people visit, it is always possible to find seclusion. With clear Mediterranean waters lapping the beach, it is no surprise that our cheap Guardamar Segura holidays are snapped up by families. These offers are considered to be great value as our commitment to quality and service is never compromised. Accommodation is good and restaurants provide a wide variety of cuisine that caters for all tastes. Shopping is adequate and gift shops and the weekly market provide opportunities for purchasing gifts and souvenirs. Nightlife here is almost as relaxed as the days and evenings are spent dining under the stars. In addition, there is a wealth of recreational pursuits both in and out of the water. If you are seeking respite from inclement weather, you may be tempted by our low cost Guardamar Segura holidays. 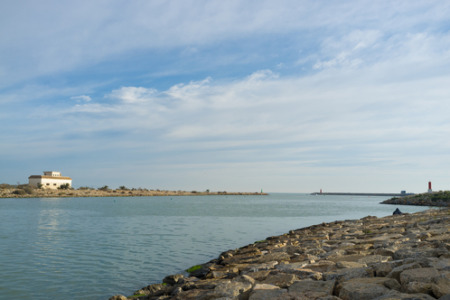 If sand and sea are what you are looking for, our Guardamar Segura holiday offers are sure to please. For further information, and to view our best Guardamar Segura holiday deals, please use the search facility.